June 4, 2014 By Allyson 6 Comments This post may contain affiliate links. Read my disclosure policy. At work last year I was browsing around Pinterest for a great Father’s Day gift idea. I wanted something easy, yet nice, and something that the kids could help me with. When I found this great free printable from Shanty 2 Chic and the easy tutorial to make these wooden photo blocks, I was sold. I knew my Dad boss would love these, and the twins would love making these! It was so easy, and it only takes a couple of items to make them! You need 2 wooden blocks (Home Depot will cut them to size for you! 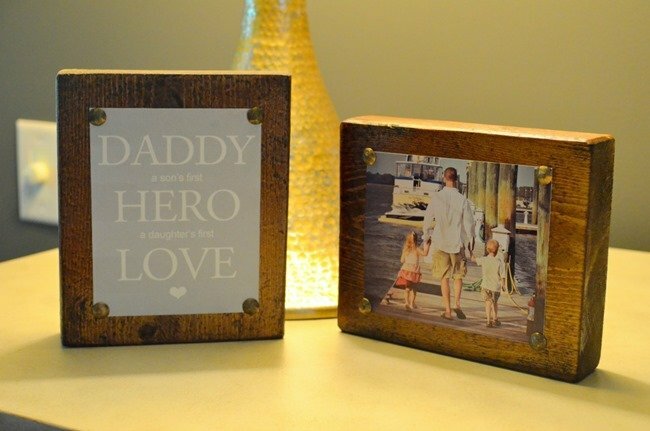 ), tacks, wood stain in a shade of your choice, a printed picture, and the printed quote (which I printed on cardstock at home). Everything should be less than $10 all together, and you might even have some of these supplies at home already! For the full tutorial and FREE printable you can check out Shanty 2 Chic (one of my favorite blogs!). 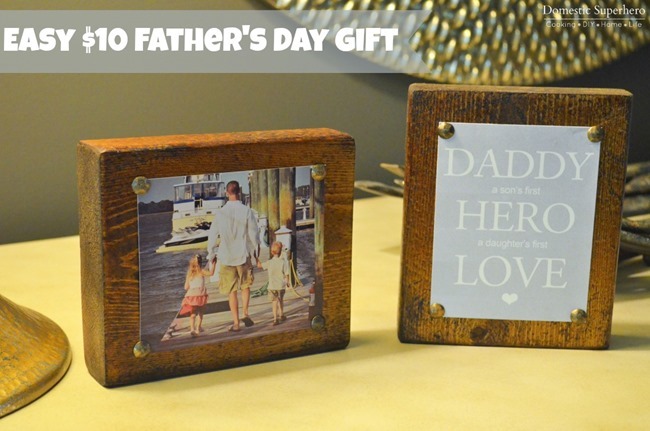 Need some more great idea’s for Father’s Day Gifts?? 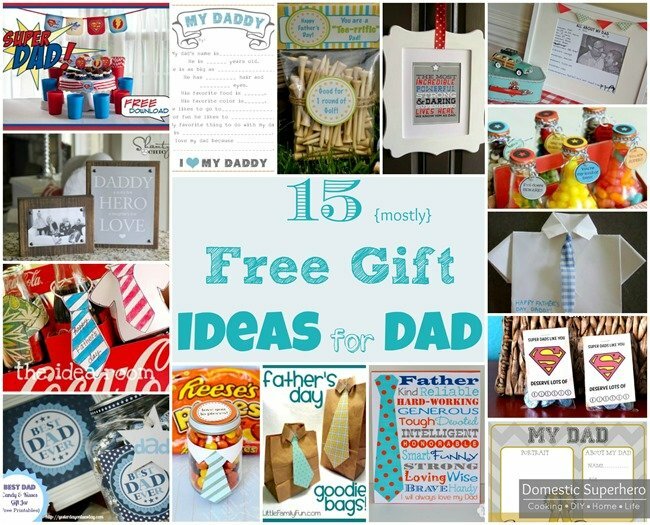 Check out the roundup I put together of 15 Mostly Free Father’s Day Gift Ideas. There is definitely something for everyone here! Love the personalized touch! How great is that? Thanks for sharing. I must get something ready for Father’s Day!! I love this! My husband is always complaining about not having photos for his desk. This would be a great option. How easy and cute are these! Love them! They are super quick and easy and Dad’s totally adore them! Thanks for stopping by, Kim!